Dubai: All private schools in Dubai will have to form an “inclusion support team” to make the school fully inclusive by 2020, officials announced on Wednesday. The team will support the principal and include an “inclusion champion” — the leader of provision for “students of determination” — as well as representation from both Support Teachers and Learning Support Assistants. The requirement is included in a new guide called ‘Implementing Inclusive Education: A Guide for Schools’, launched on Wednesday by the Knowledge and Human Development Authority (KHDA), Dubai’s education regulator. The guide follows the ‘Dubai Inclusive Education Policy Framework’ launched in 2017 by the Inclusive Education Taskforce headed by KHDA. The framework is linked to the ‘Dubai Disabilities Strategy’ and part of a larger citywide goal of making Dubai a disability-friendly city by 2020 through the ‘My community … a city for everyone’ initiative. Inclusion means granting equal access to learning opportunities for students who experience Special Educational Needs and Disabilities (SEND), who are also referred to as students of determination in Dubai. Private schools in Dubai are expected to be fully inclusive by 2020. It means students of determination will be able to enrol in any mainstream private early childhood learning centre, school or university in Dubai without the risk of rejection by 2020. It also means they should have all the support they need to realise their potential. Some schools already consider themselves fully inclusive while others are not there yet, principals said on Wednesday. Not all schools currently have the human resources or the budget to afford specialists and technology to make learning fully inclusive for every child. DBS is part of the Taaleem education group, one of the biggest in the UAE. Dubai British School has a fully inclusive philosophy which guides our school management, admissions and provision processes. We are a fully inclusive school … We are aware some other schools may be at a different point in their journey towards full inclusiveness by 2020. 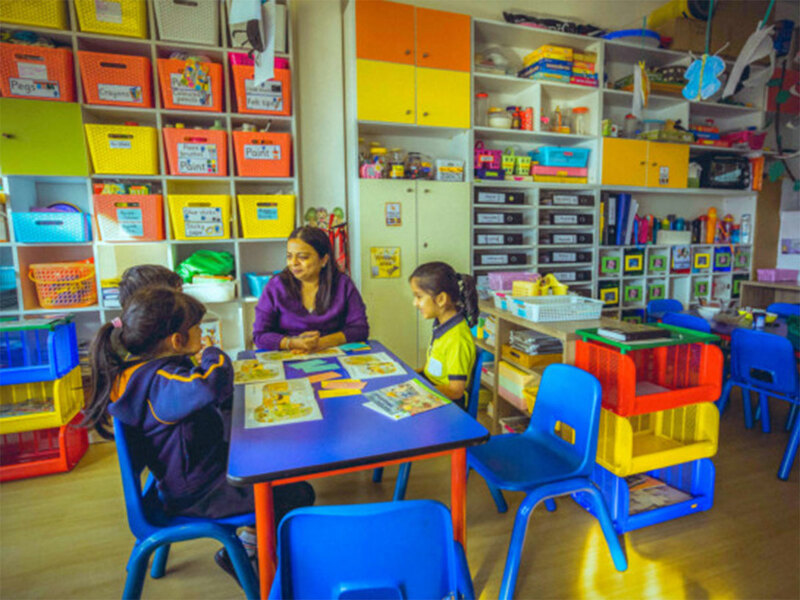 Christopher Bromham, principal of Uptown School in Dubai, another Taaleem school, said though it was “costly” to train and recruit Special Education Needs staff, “Taaleem as a group of schools is absolutely committed to the idea of inclusion in all our schools. Therefore, ample funding is always available to ensure that students get the very best levels of support, whatever their needs”. However, many smaller stand-alone schools many find it hard to afford the needed staff or training for the inclusion support team, said Neil Matthews, principal and CEO of GEMS Wellington Academy — Al Khail, Dubai. Taaleem is committed to the idea of inclusion in all our schools. Ample funding is available to ensure that students get the very best levels of support. GEMS Education is the UAE’s biggest private school group, with some 50 schools in the country. “We are a fully inclusive school … We are aware some other schools may be at a different point in their journey towards full inclusiveness by 2020. While we are in a strong position across our network, other schools may need to invest in specialist staff and meet other requirements,” Matthews said. The launch of this new guide is a reflection of our commitment to enable schools to create a welcoming environment for everyone. Matthews also pointed out that while no child should be refused entry to school, “it has to be balanced with ensuring the school can meet the various emotional, physical and behavioural needs of every single student, or it wouldn’t be fair to have them in that particular school”. What are the new roles for teachers? Leader of provision for students of determination: Plays a crucial role in supporting classroom teachers to identify and develop specific approaches in the classroom so that every student is empowered to succeed. Support teacher: Applies inclusive approaches within their teaching practices. They should spend no less than 60 per cent of their time engaged in activities that directly influence the inclusive competence of classroom teachers. Learning support assistant (LSA): Replaces the former ‘shadow teacher’. LSAs should be trained in using different approaches to lower barriers to learning, and to facilitate student engagement and participation within relevant and meaningful learning opportunities.